First Choice Services UK Ltd is owned and managed by Mark and Anna Tomsett, a husband and wife team who for the last 25 years have built the business along with the help of their qualified, experienced and committed team of technicians and staff to have a core clientele who come back for our service and prices. We now specialise in commercial works and new build developments. We aim to please by listening and communicating with the client at all times to get the work complete with a professional finish to the satisfaction of the end user. We offer flexible working hours and can visit your project out of business hours or at the weekend if required. Please take a look at our work pages for examples. 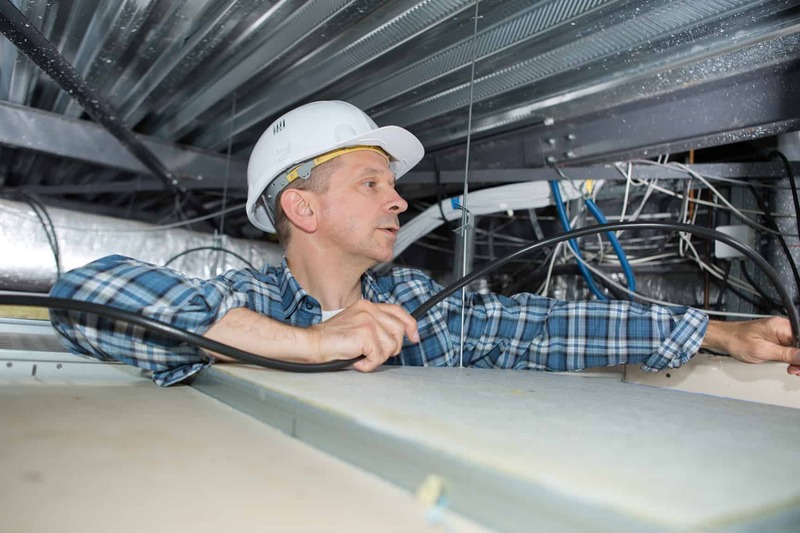 We deliver the best services by employing experienced staff; all our electricians are qualified and trained to the 18th Edition IEE regulations and meet standards and practices laid down by the NICEIC. 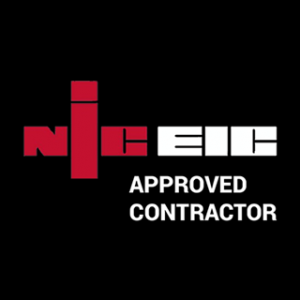 Customers of NICEIC registered contractors are covered by the full Platinum Promise. All our staff have ECS cards to show their competency in the Electrical industry whether they are a manager or a trainee electrician. For your peace of mind, all our electricians are Part P qualified and work with health and safety in mind at all times. We are accreditated by the Safety Management Advisory Service, with an annual assessment to ensure we meet the set standards. 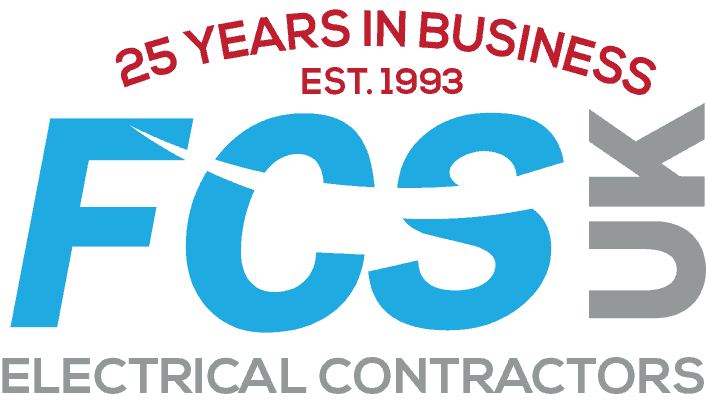 All our staff have ECS cards and have therefore passed the Health and Safety test for electricians. Regular training is given to ensure they are compliant with current legislation. This is monitored and applied by us. You will find us on The Electrical Safety Register, this only contains those firms whose work has been approved by government authorised bodies NICEIC and ELECSA. Choosing a firm from the Electrical Safety Register is the best way to ensure all work carried out is safe. The annual assessment involves having our office procedures, administration and installation records/certificates checked as well as a few selected installations we have carried out during the year chosen by the inspector on the day. All technical references are checked to be current as well as our test equipment. 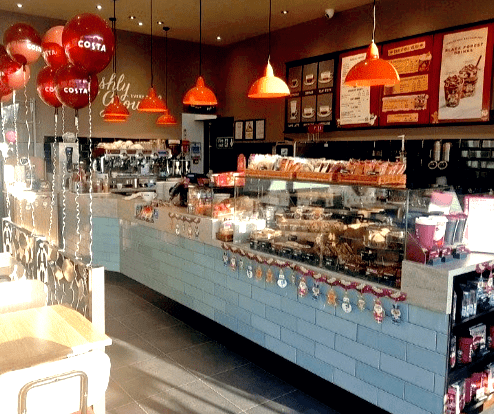 One of our clients is the largest Costa Coffee franchisee in the UK. We completed the 69th and 70th store in Autumn/Winter 2017. We have installed 50+ Costa Coffees and 4 Kaspas Desserts stores for Goldex Investments Group Ltd. If you have any projects that you would like us to take a look at please send the information via email or call the office on 01622661551 and we will get back to you as soon as possible.